Update to post above: A felony! For not stopping AFTER the incident. Who would've stopped and hung around? The animals were climbing all over his car. The Mayor in the article tweets "he should have turned around". Unbelievable that the police were right there and weren't controlling the trans/BLMers in the street blocking traffic. Before Ferguson, I never saw anything like this. ST. LOUIS • A man who drove his car into a group of protesters in St. Louis on Wednesday night has been charged with a felony. Mark Colao, 59, was charged Thursday with a felony count of resisting arrest by fleeing and two misdemeanor charges of leaving the scene of an accident and operating a vehicle in a careless and imprudent manner. Police say Colao, of the 2900 block of St. Vincent Avenue, drove his car through protesters who were blocking Manchester Avenue and Sarah Street in the Grove neighborhood Wednesday night. After Colao pushed his car through the protesters, he gave the middle finger to a police officer who pulled alongside his car, and “accelerated aggressively” as he left the scene, according to charging documents. Three people had minor injuries. ST. LOUIS - The verdict in the Jason Stockley murder trial could come down at any moment. Stockley is the former St. Louis police officer accused of executing a suspect in December 2011. It appears city leaders anticipate a verdict soon; they’ve placed barriers around the courthouse and have reminded people to remain calm. (CNN)A St. Louis judge on Friday found former police officer Jason Stockley not guilty of first-degree murder in the 2011 shooting death of black motorist Anthony Lamar Smith. "This Court, in conscience, cannot say that the State has proven every element of murder beyond a reasonable doubt, or that the State has proven beyond a reasonable doubt that the defendant did not act in self-defense," St. Louis Circuit Judge Timothy Wilson wrote in his ruling. WOW .. I can't imagine. People from all over the area travel to see a concert, including several overnight stays. To me, this is a big deal and HUGE economic hit to St. Louis businesses. Guessing U2 has insurance to cover its loss. What a shame. U2's concert scheduled for Saturday night at the Dome at America's Center is canceled. Live Nation and U2 announced the news in a joint statement. "We have been informed by the St. Louis Police Department that they are not in a position to provide the standard protection for our audience as would be expected for an event of this size. We have also been informed that local crowd security personnel would not be at full capacity. 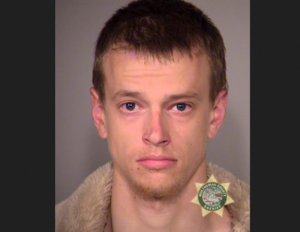 Skinny white snowflake.. in prison for 5 years... is gonna see some "Black Lives" up close and personal... Gnomesayin? Only guessing it's BLM, but since it's St. Louis will put it here. Police officers answering a call early Sunday morning shot and critically injured a man holding a handgun and a sword who refused to drop his weapons, police said. St. Louis County Police answered a call at 6:37 a.m. in the 7700 block of Harlan Street. Sgt. Shawn McGuire, a police spokesman, said the caller did not specify a particular need and did not answer callbacks from dispatchers. Three police officers responded to the call, and got no answer when they knocked on the door. One of the officers looked through a window, where he saw a man approaching the door with a handgun in one hand and a sword in the other. He shouted a warning to the other two officers, McGuire said. The man opened the door and let a dog out as the officers stepped back, McGuire said. The dog, described as a pit bull, did not go near the officers and was not injured. The officers tried to get the man to talk to them, but the effort failed. The man stepped onto the porch, still holding both weapons. Officers directed him to drop them and he ignored the commands. McGuire said one officer shot the man, striking him several times. "Obviously when somebody walks out of their front porch with a sword and a handgun, that puts officers in a tough spot," McGuire said. Here is HOW LIAR not-Journalist Reb Z describes that report/incident. @stlcountypd decided to shoot a man at his home early this morning. A group of protesters gathered outside a Philadelphia Fraternal Order of Police fundraiser for a suspended officer who fatally shot a man in the back during a traffic stop. A fundraiser for Philadelphia Police officer Ryan Pownall took place late Sunday afternoon at Philadelphia FOP Lodge 5. Proceeds for the event, which included food, drinks and music, went directly to Pownall’s family. Supporters paid $40 each to attend. During Sunday’s fundraiser, about a dozen members of Black Lives Matter Pennsylvania as well as the Justice for David Jones Coalition protested outside the FOP building. "Our dear brother David Jones," Black Lives Matter Pennsylvania leader Asa Khalif shouted via loudspeaker during the protest. "A man that was loved by his family, his friends, and his community. You shot him in the back! And he's dead! And now you have to deal with the consequences! Now you throw a party! You're celebrating killing black people!" During the protest, more than 30 officers stood outside the FOP Lodge and set up a barrier around the building. Pownall, a 12-year veteran of the police department, shot David Jones, 30, in the back and buttocks following a struggle back on June 8. Jones later died from his injuries. Surveillance video shows Jones running away as he's shot. He was stopped for riding a dirt bike on city streets, which is illegal, and police say he reached for a weapon during a scuffle with Pownall. While Pownall was suspended, he has not been criminally charged. I've been seeing tweets in the #STLVerdict about the police killing someone so I checked it out. Heather tweeted to the paper right after it happened, that there was no police video so it should be "Alledged Knife-wielding man". Sounds like there were LOTS of witnesses. Updated at 7:10 p.m. with comment from owner. 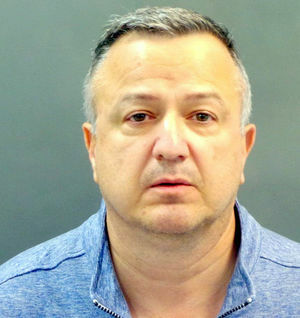 ST. LOUIS • A man police say forced his way into a Dogtown bar and grill and threatened employees with a butcher knife Saturday was tased by police and died. The St. Louis Police Department said the dead man, in his 60s, threatened employees in the kitchen of Tamm Avenue Grill at 1227 Tamm Avenue. Police responding to a call for help ordered the man multiple times to put the knife down, according to St. Louis police spokeswoman Schron Jackson. The man tried to attack a cook with the knife, and the cook defended himself with a bar stool, she said the owner told her. None of the employees was hurt. Bob Brazell, one of the owners of the Tamm Avenue Grill, said about four employees were inside the bar at the time of the attack. None of them knew the man or had ever seen him before, Brazell said. ST. LOUIS • A St. Louis grand jury has returned misdemeanor charges against a man who drove his car into a group of protesters in August in the city’s Grove district. The circuit attorney’s office originally charged Mark Colao, 60, with a felony count of resisting arrest by fleeing and two misdemeanor charges of leaving the scene of a crash. A grand jury that ended its term last week rejected the felony count and instead issued misdemeanor counts of resisting arrest, careless and imprudent driving and leaving the scene of crash. Circuit Judge Michael Stelzer said he asked prosecutors to bring him the indictment for his signature by Thursday because more than 10 days had lapsed since the grand jury issued it. One of the prosecutors who presented the case to the grand jury resigned Wednesday over the office’s delay in filing the indictment, sources say. Bail for Colao on the indictment was set at $20,000, with a 10 percent cash surety. I missed when "hate crime" was replaced with "bias investigation". No mugshot that I can find. If you hunt and peck in the article, his photo is the last one in the gallery. MORRISTOWN -- Authorities have ruled out bias as the motive in the vandalism of five predominantly black churches after charging a 45-year-old Morristown resident on Sunday. Zuri C. Towns attended services at one of the churches as a child, Morris County Prosecutor Fredric Knapp said. "As a result of the investigation, no evidence was obtained that would indicate this was a bias incident which legally requires purpose to intimidate a person or group based upon their protected class," authorities said in a news release announcing the arrest. Members of the five churches -- four in Morristown and one in Morris Township -- discovered on Saturday that exterior signs had been broken or damaged. At one church, a stained glass window was shattered. Authorities launched a bias investigation and Gov.-elect Phil Murphy tweeted a condemnation of "cowardly acts." The pastor of Bethel A.M.E. Church said some congregants were so unsettled by what happened that they opted not to attend Sunday services. However, the focus shifted after a surveillance video outside Church of God in Christ for All Saints showed a man, later identified by police as Towns, throwing a rock against a window.